The words “Super Group” are thrown around a lot but very often these bands consist of only members of other popular groups. 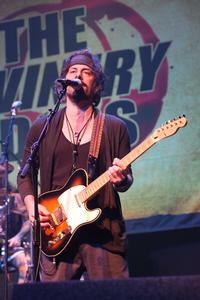 They may be groups but they certainly are not “super.” That being said, I do look at The Winery Dogs as a super group. 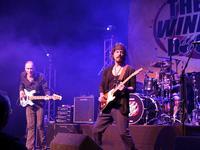 All three artists have had considerable success in other bands but with The Winery Dogs, they have combined their talents to come up with something new. Mike Portnoy has left his prog drumming with his other bands and brings a stripped down style of playing but with a hell of a lot of groove. 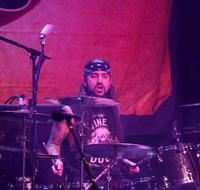 No matter what genre of music, Portnoy is a monster on the kit and he always brings something special to any performance. 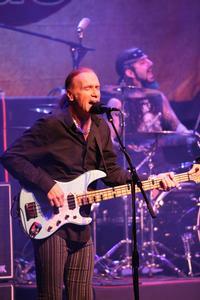 Billy Sheehan is most known for his playing in Mr. Big but he also has an impressive resume from David Lee Roth’s band to Talas and even a stint in UFO. I really enjoyed his performance on this tour because he really showed off his chops without going overboard. Sure, he did have an extended solo but during each of the tunes, he provided some excellent bass work along with backing vocals. As far as rhythm sections go, you can’t beat both of these guys. 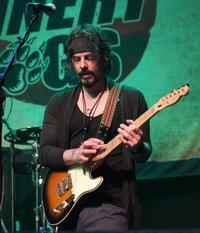 Last, but certainly not least, we have Richie Kotzen on guitar and lead vocals. I have listened to his solo material for a while now and his voice just keeps getting stronger and better. As a guitarist, I feel that he is one of the most underrated players out there. He has a great bluesy feel without overplaying it. Since blues music is very popular now, many guitarists almost force it but Kotzen just has a natural sound that really makes the songs come alive. Many people will remember him from Poison and Mr. Big but I suggest checking out The Winery Dogs to really catch him at his best. As far as set lists for the show, you are pretty much going to get all the songs on their first (and only so far) disc. You also get the Japanese bonus track of “Criminal” which oddly was the second song of the set. Although Portnoy really didn’t get to bring in one of his tracks from his past (and let’s face it, his prog material wouldn’t fit within the confines of The Winery Dogs), both Sheehan and Kotzen brought along something from their respective histories. The band performed “High” from Kotzen’s solo career and the show closer of “Shy Boy” is from Sheehan’s Talas days. Along with those additions, they played a couple of covers, namely “Love Is Alive” and “Reach Out (I’ll Be There).” As a special bonus, we also got to see them perform a new and unreleased track called “Oblivion.” All in all, it was everything you could ask for from The Winery Dogs. One of the best aspects of the show was watching the band play off of one another and the general sense of camaraderie. They really looked like they were having fun on stage and that filtered down to the crowd because when the show was over, everyone left with a smile on their faces and ringing in their ears.